I don't normally take pictures of light engines, but couldn't resist this one. 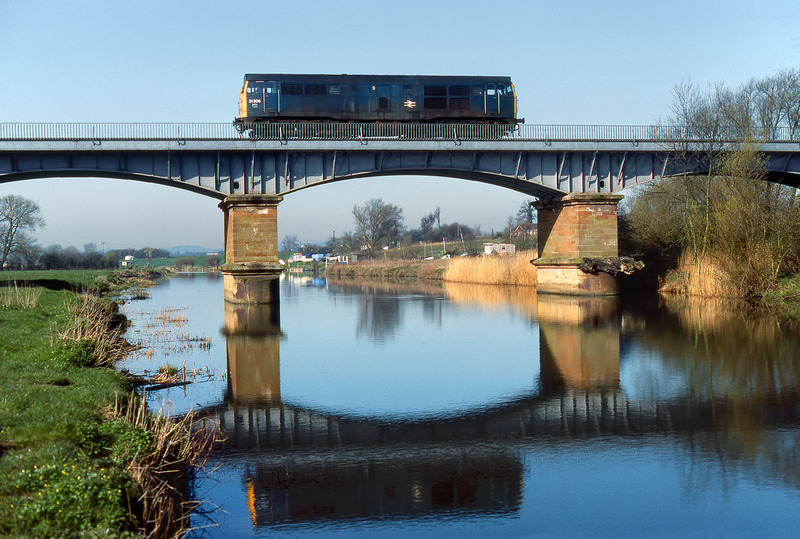 31306 heads south over the River Avon at Eckington on 9 April 1983. A pity the breeze has slightly spoiled the reflection, but it could have been a lot worse! Note the huge tree trunk that has managed to get itself impaled on the right hand pier, now well above the water line.